Fast fold truss frame screens are designed for versatility and durability in rental and staging environments, and accommodate nearly any size of surface. The frames bolt together with Speedy Cranks for efficient set up and tear down without tools. 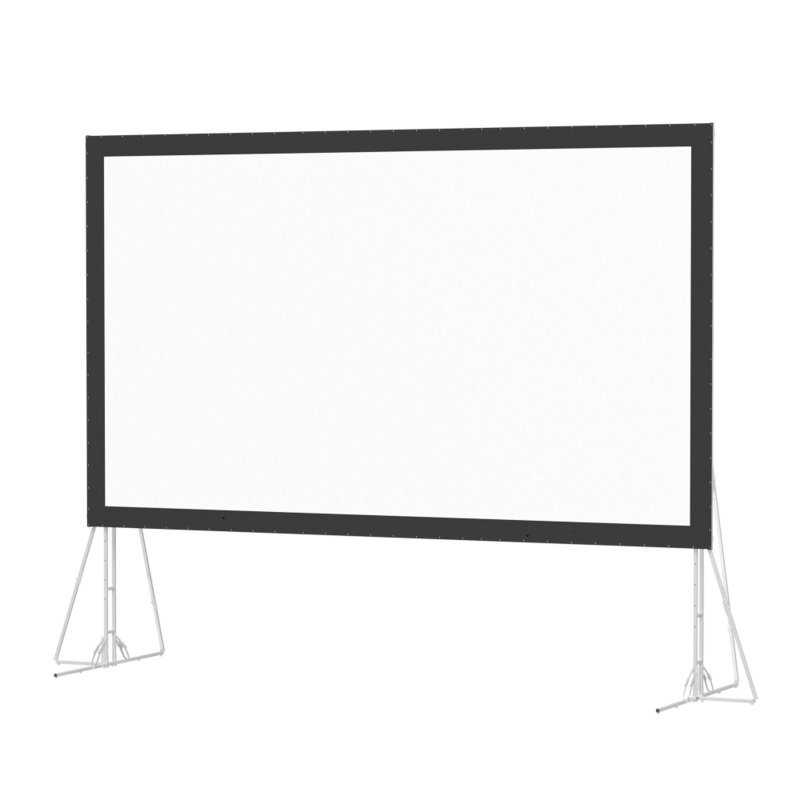 Front and rear projection surfaces can be interchanged, and adjusted up or down in six inch increments. A rugged carrying case ensures ease of transport and storage.